Investigations using transient elastography (Fibroscan) have shown that >20% of young adults in the ‘Children of the 90s’ longitudinal study have fatty deposits on the liver, or steatosis, indicating non-alcoholic fatty liver disease. Half of those were classified as severe. ~10% of those with NAFLD also had fibrosis, scar tissue in the liver. Severe scarring can cause cirrhosis. This has the potential to cause major problems in the future, and public health awareness campaigns are needed to alter behaviours which will impact health in the future. University of Bristol researchers presented data at the International Liver Congress 2019 in Vienna that as many as 20% of young adults in the study (mean age 24 years) had steatosis, up from a prevalence of 2.5% in the same cohort in their teenager years. 2.4% of individuals in the cohort had some degree of fibrosis, and 0.3% had fibrosis evaluations equivalent to stage 4 (F4) fibrosis. This study indicates a requirement for greater public health awareness of non-alcoholic fatty liver disease in young adults in the UK. Dr Tim Kendall is part of a collaborative team from across Scotland who are currently working on the SteatoSITE project. SteatoSITE is a unified data system that allows sharing of genomic and clinical information from patients with NASH – the progressive form of non-alcoholic fatty liver disease (NAFLD) – making it more accessible for further research. Tim explains the important role that digital pathology is playing in this ground-breaking project that could help develop new tests and treatments for patients with NAFLD, which affects 25% of Scots and currently has no cure. Pathology is often used to refer to the laboratory examination of samples of body tissue to make a diagnosis. The tissue gets cut into sections, put on a slide and looked at through a microscope. With digital pathology, instead of using a microscope, you scan the slide and store the resulting image on a computer. You can move around the image and zoom in and out using a mouse rather than a microscope. This is really useful for a number of reasons. If a doctor wanted a second opinion on a sample in the past, he would have to send a slide through the post. Using digital images allows doctors view the sample simultaneously, make notes on the image, collaborate and form an opinion together. It is also more secure – you can’t lose the sample because it is stored securely on a server and backed up. 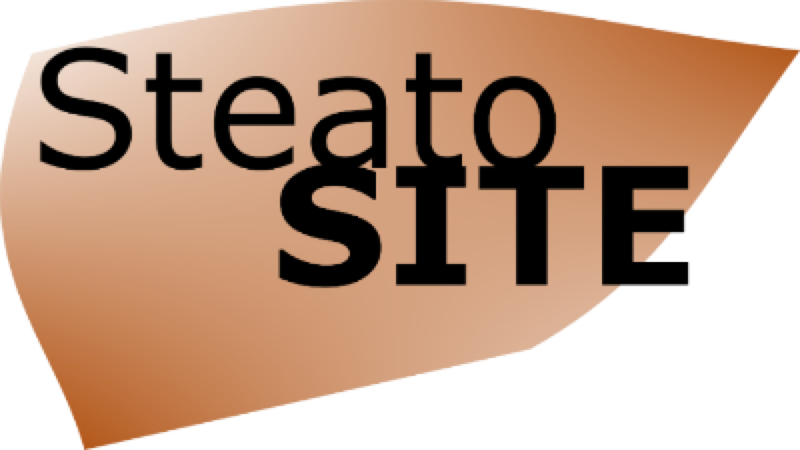 What is the importance of digital pathology to the SteatoSITE project? Let’s just say we’re looking at a sample of a fatty liver and trying to decide how much scarring is there. To describe this, I might say “some”, “a little”, or “a lot” of scarring – vague expressions that don’t mean much unless we turn them into numbers. So traditionally we score a sample using a published scale, but this isn’t particularly accurate either. Computers, however, are very good at counting things. With a digital image, we can actually train the computer, using machine learning, to identify which pixels represent scar tissue. Once it has learned this, the computer can count the scar tissue pixels and give a percentage of the liver which is scarred – this is far more accurate and more statistically robust than assessing this by eye. This project involves pathologists in Glasgow, Aberdeen and Dundee as well as ourselves in Edinburgh. The samples are scanned here in Edinburgh and will then be uploaded to a platform which we can all get access to remotely. This will allow all of us to look at all 1000 samples in the project and score them in batches rather than relying on one person to do it all – it’s an incredibly efficient way of doing things. I’ve also been involved in the identification of the tissue samples. Rather than going to electronic patient records to find patients with fatty liver disease, we are looking at pathological records, and selecting samples from four biorepositories across Scotland. We’ve been able to pull an anonymised list of any liver specimens reported in our system and find cases that refer to fatty liver disease. Rather than taking new samples from current patients, we’ve been able to use these samples from past patients which are routinely held anyway in case someone needs to be able to refer to them in future. It’s great to be able to use this resource for the public good. What stage is the project at just now? The pilot study using the first 59 samples is nearly complete – some analysis is still ongoing. The software to upload the scans from the pilot study and allow the whole team to view them is nearly ready. We will then sit down together ‘virtually’ and agree on how to score the samples, so when we move onto the full study, we’ll all be singing from the same hymn sheet. We’ve already selected a lot of the remaining samples for the full study, so once we get ethical approval, the samples will be anonymised and entered into the study. This will be done in batches over the next 12 months. First, the samples will be stained within NHS Lothian, scanned and uploaded to the system and the team of pathologists will start to score them. Once scored, the data will be put into the SteatoSITE data commons, along with the images. Sharing this information through SteatoSITE will be transformative for research efforts to better understand fatty liver disease. It will help to pinpoint patients at high risk of disease progression and will speed up the development of new therapies for this silent killer.